MILOON | BLITHE'S “ANTI-POLLUAGING” SKINCARE SOLUTIONS. INTRODUCING BLITHE’S “ANTI-POLLUAGING” SKINCARE SOLUTIONS. Blithe introduces “Anti-Polluaging”: an all-new skincare concept acting on “Pollution” and “Aging” at the same time to Refresh, Recovery, Recharge your skin. Blithe “Antipolluaging “ protection consists in a 3-step skin-care solution to refresh, recover and recharge your skin. Let yourself get filled-up with energy as you get your skin protected from the urban pollution; get ready to experience the unique sensation of feeling this new vibe pervading your life from your skin. 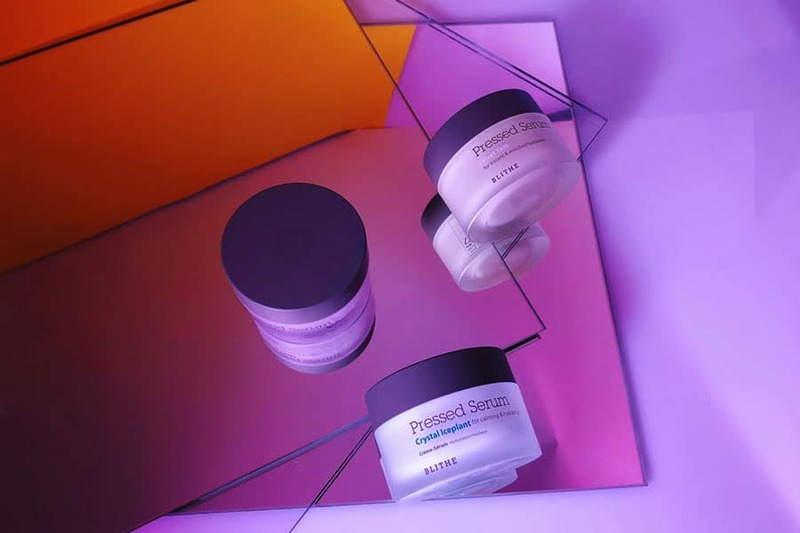 Thanks to its wide range of skincare products that are formulated using natural and organic ingredients, this 3-step line tackles 3 distinct sets of skin damages caused by pollution, stress and aging. Designed with a new-breed of woman in mind – now in control of the fast paced urban environment she lives in -Blithe is the perfect solution to get a healthy and beautiful skin. Following Korean skincare mantra “Preventing is Better than Fixing”, we suggest to turn to Blithe Antiaging now, so prevent harmful pollution agents to age your skin faster than it should. Let’s now get a closer look to Refresh, Recovery, Recharge, the threes steps of “Antipolluaging” skincare. The first step consists in purifying your skin with Patting Splash Mask. Splash Mask is a new innovation in masks originated from Korean traditional cleansing method with rice water. It is a concentrated liquid-type mask that removes fine dusts and dead skin cells only by ‘15 seconds’ washing without irritation. It makes skin smooth and helps better absorption of the skincare steps to come. Energy Yellow Citrus & Honey splash mask contains lemon and honey extracts, with are rich in vitamin C, to make your skin clear and bright with hypo-allergenic care of dead skin cells. Soothing & Healing Green Tea splash mask contains green tea extracts to calm the stressed and irritated skin and balance it providing oil controlling and pore clarifying. The second step, Recovery, spins around the idea of Vital Treatment: an essence that deeply penetrates into the skin; This contains extracts from roots, seeds, and beans that will make your skin transparent and vital. 5 Energy Roots Vital Treatment contains the extracts of 5 roots and oriental ingredients that have saponin to provide with moisture and add radiance to the dry skin. Last step requires recharging your skin through Pressed Serum. Containing ingredients from the Blue Zone, homo-hundred longevity area, Pressed Serum has an excellent absorption rate and delivers deeper moisture and a richer nutrition than serum. Crystal Iceplant Pressed Serum is a rich-in-zinc and minerals serum that foster collagen production. It relieves stress and has a moisturizing effect, resulting in a soothed, soft and fresh skin. Extra Care Intensive mask will protect your skin from the harms of the environment, providing moisture to maintain the skin healthy. Blue Zone Marine Intensive Mask contains exotic ingredients from Jeju Island, South Korea, to provide intensive skin care and relief of the fatigued skin from stress and UV. Each mask ingredients are particularly suitable to deliver and amplify the 3-step process effects. Want to know more about Korean Beauty Routine? Make sure to follow our Korean Beauty Routine Explained sessions… and get ready to glow.